Reggae Legends Toots and the Maytals in Concert Toots and the Maytals, legendary architects of reggae, perform for a sold-out crowd at the 9:30 Club in Washington, D.C. Hear the full concert, originally webcast live on NPR.org April 23, and view photos from the show. Audio for this performance is no longer available at the artist's request. Toots and the Maytals, legendary architects of reggae, perform for a sold-out crowd at the 9:30 Club in Washington, D.C. Hear the full concert, originally webcast live on NPR.org April 23. Frederick "Toots" Hibbert founded the Maytals in the early 1960s in Kingston, Jamaica with Nathaniel "Jerry" Mathias and Raleigh Gordon. Together, they crafted some of the most important and influential songs in the history of reggae. The groups 1968 single "Do the Reggay" is credited with giving the genre its name. "Those days we'd just make stuff up. Anything. A bird flies around the corner, you write a song about it," says Hibbert. "So we just say 'Do the reggay, do the reggay,' and that's it. A few words, y'know? And nobody paid it any mind until it started to go all over the world. I saw it in the Guinness Book of Records. So I thank God that I did something good, and I didn't even plan it. "There was the beat in Jamaica. Reggae was played long before I started singing. And there was a slang, like a nickname for someone who don't dress properly - like if you are barefoot, people would call you 'streggae.' They say, 'Hey, that guy is streggae, don't talk to him.' If a girl don't dress properly, like don't have on any top, they call her 'streggae.' So one morning, one Tuesday morning, we just said, 'Let's go along and do some reggae.'" 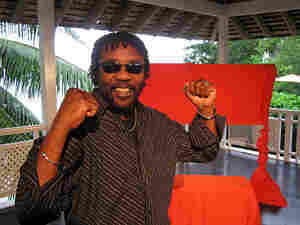 The Maytals disbanded in 1981 and Hibbert went on to work with producers Robbie Shakespeare and Sly Dunbar. 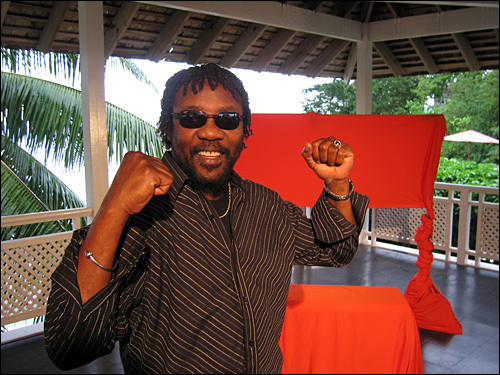 Hibbert created a retooled Maytals in the early '90s and enjoyed a new surge in popularity with the 2004 release True Love. That album featured collaborations with artists like Keith Richards, Eric Clapton and Phishs Trey Anastasio. "All these different artists, we are friends," says Hibbert. "I feel their spirit, they feel my spirit. And a younger generation can feel our spirit. I learned that music is an endless thing, and it can modify and become huge."